As video games become more and more popular in the mainstream market, so too are common gaming themes such as dragons, knights and medieval themes. As a result it is no surprise that the role-playing series Dungeons and Dragons is once again increasing in popularity. While many online casino game developers base slot games on comic book characters and superheroes, IGT is using the Dungeons and Dragons theme as inspiration. 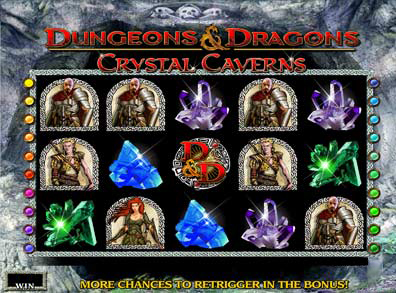 The first game in the slot series being released is called Dungeons and Dragons: Crystal Caverns, and looks like it is remaining faithful to the original game. The game features all the popular themes from Dungeons and Dragons such as knights and faeries. The game’s music is also suitably themed and reminiscent of games such as Dragon Ago and Skyrim. So far the game has proven to be hugely successful in the U.K. and it is expected to take off internationally. The game includes a great bonus round that is modelled on the original game. Players must battle enemies using a 20-sided dice to decide who win the battle. For each enemy defeated the player earns prizes. 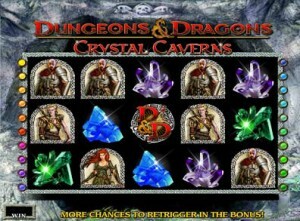 Overall the game is a great combination between the Dungeons and Dragons theme and traditional slots.